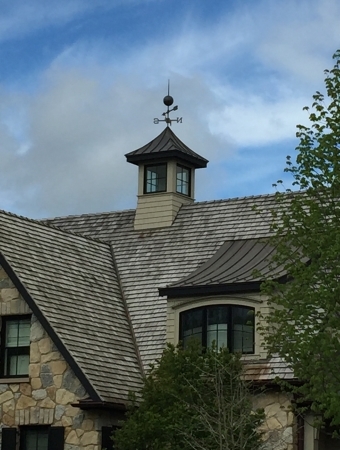 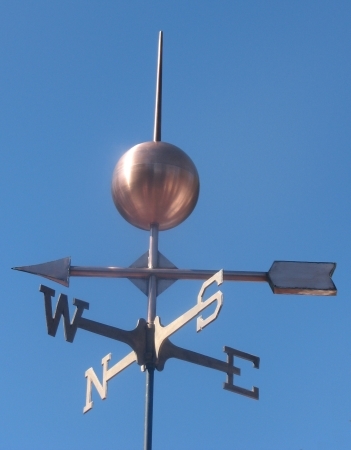 This Arrow and Globe Weathervane was commissioned by a woman with a distinct vision for the architecture of her home and the vane she wanted to mount on the roof. 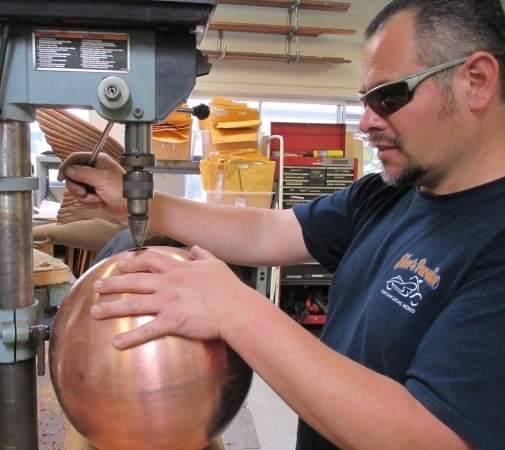 The copper globe was a custom spinning project, which explains the relatively high final price. 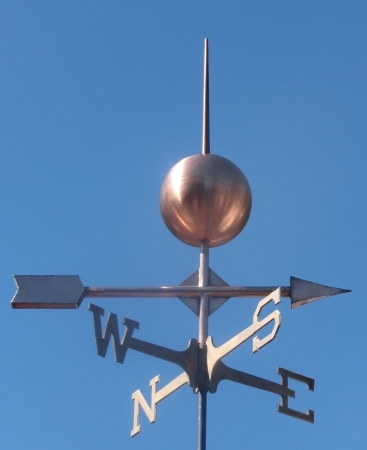 The Arrow and Fletchings are also a custom design, and their fabricated depth work beautifully with the globe and sphere. 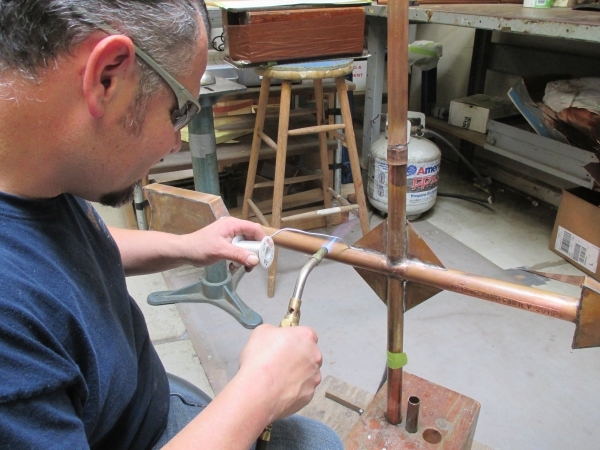 We truly do enjoy working with all of our customers to create the sculpture piece that only they can entirely envision in the setting where it will reside. 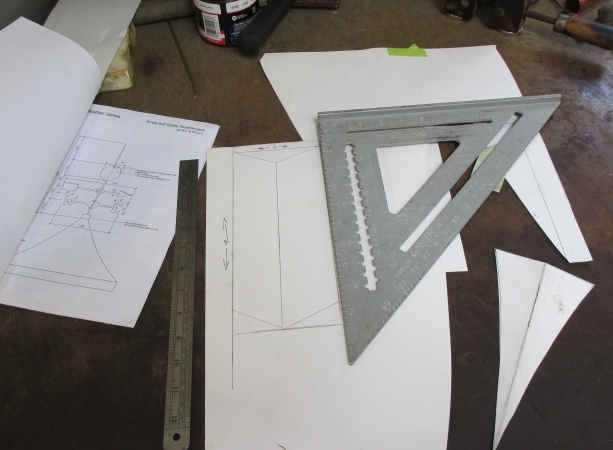 Please contact us if there is any original design you would like to work on or any design in our archive that you would like to personalize.